I never get tired of the perks of this job, especially because it allows me to meet people like Joe Wagner. The fifth generation winemaker is in town this week for Savor Nashville—the Wagner Family of Wines is sponsoring Saturday’s Celebrity Chef Dinner at The Hutton Hotel—and set up a special tasting for the staff of Nashville Lifestyles at the Hermitage Hotel yesterday afternoon. 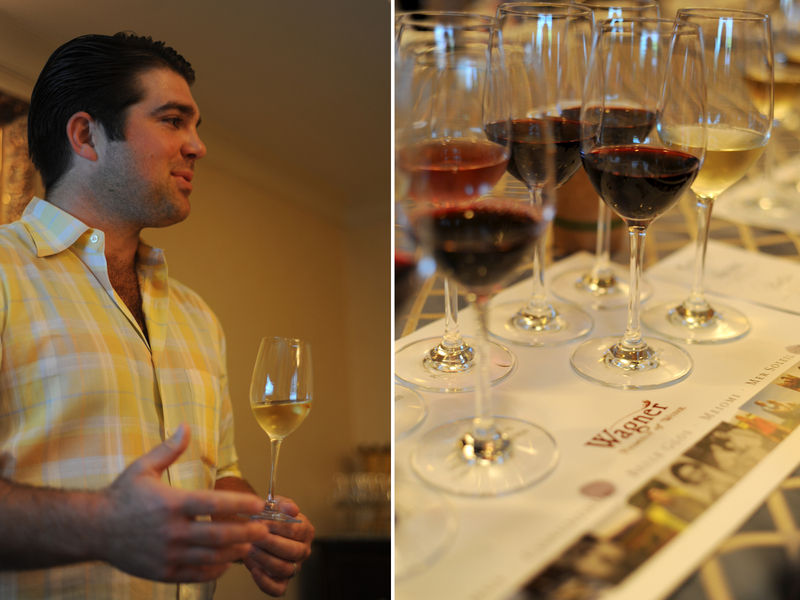 After introducing us to his family through a video, Joe gave us a comprehensive tasting of the wines. And while most of us were already familiar with his most popular labels (bottles of the Caymus, Conundrum White and Meiomi pinot noir are currently sitting in several of our home wine fridges), tasting through them with the winemaker himself is one of those once-in-a-lifetime moments that will forever shape my personal enjoyment of his wines going forward (especially his stories about discovering and guzzling a bottle of sauvignon blanc at the age of five). Joe is a farmer, first and foremost. Like his grandfather, Charlie Wagner, he was raised in the vineyards. And that farmer comes through when he talks about sugar content, ripeness, harvest times, structure, and cryo-extraction. But when it comes to what’s in the bottle, he puts it plainly, saying, “I just love those rich pinots.” His father and a few of his siblings are also part of the business: brother Charlie II is the winemaker of Mer Soleil and Mer Soleil Silver (Joe says they rib each other constantly about the virtues of red versus white wine); both sisters Erin and Jenny are coming up as winemakers; his father Chuck is the winemaker and viticulturist for Caymus. But the heart of the family today is Joe’s grandmother, Lorna Belle Glos Wagner, the namesake for the family’s fantastic line of pinot noir. Joe says the 97-year-old had her hand in the process from the very beginning, whether it was working on the bottling line or making lunch for the crew. She, her husband, Charlie, and Joe’s father Chuck founded the winery in 1972 and though Charlie passed away over a decade ago, his and Lorna’s legacy will likely keep the winery running for generations to come. In fact, Joe and his wife have five kids of their own—he told us that he’s hoping that at least one (but not all) of them chooses to carry on the family business. Now on to those wines. We tasted through nine, including a bottle that will hit the market in a few weeks, the Belle Glos Dairyman Pinot Noir: It was named for the Portuguese dairy farming family from who Joe purchased the land. Like the other Belle Glos Russian River Valley pinots, this one is affable, well-balanced, berry-heavy, and rich—definitely a staff favorite (you can taste for yourself if you have tickets to Saturday night). I appreciated tasting the Mer Soleil and Mer Soleil Silver side-by-side. Both are Chardonnays with grapes grown and harvested from the same lots but with two different applications: the Silver is kept on the lees in an egg-shaped concrete tank (which inspires the opaque grey bottle) while the regular Mer Soleil is barrel fermented. 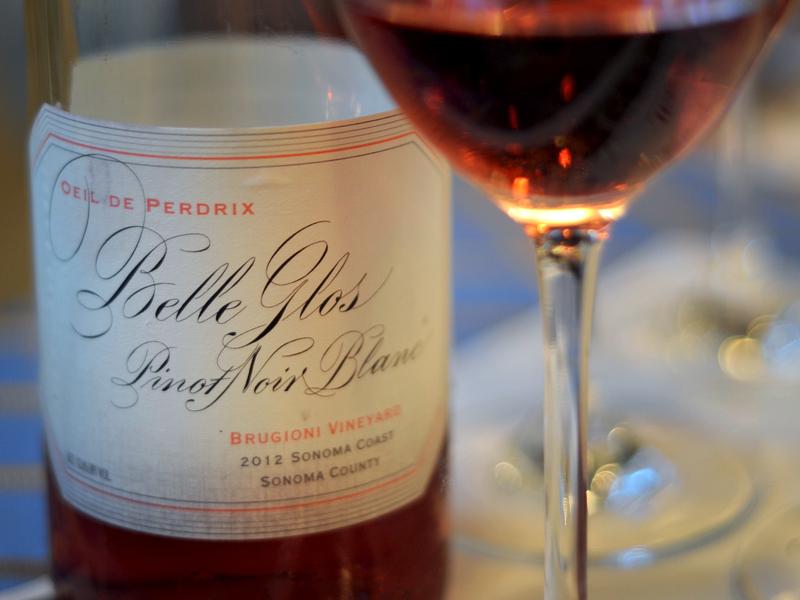 Meanwhile, the Belle Glos Oeil de Pedrix rose is a lovely presentation of low acidity pinot noir rose and will surely make an appearance this summer on my back deck. 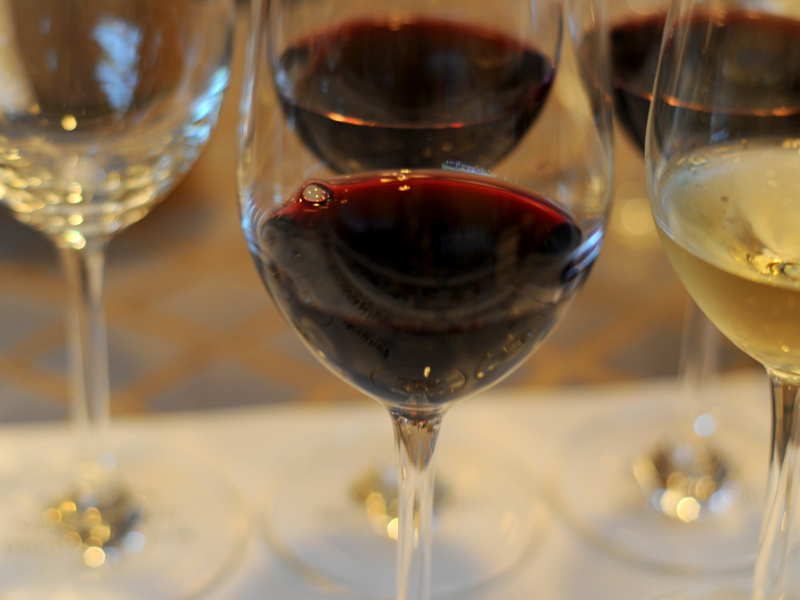 The showstopper though had to have been the 2010 Caymus Special Selection, a cream of the crop vintage that produces a beautiful, classic Napa Cabernet. It’s not everyday that you get up-close with a talent like this—but if you have tickets to Saturday night’s Savor dinner, I recommend introducing yourself to Joe and raising a glass to say thanks.